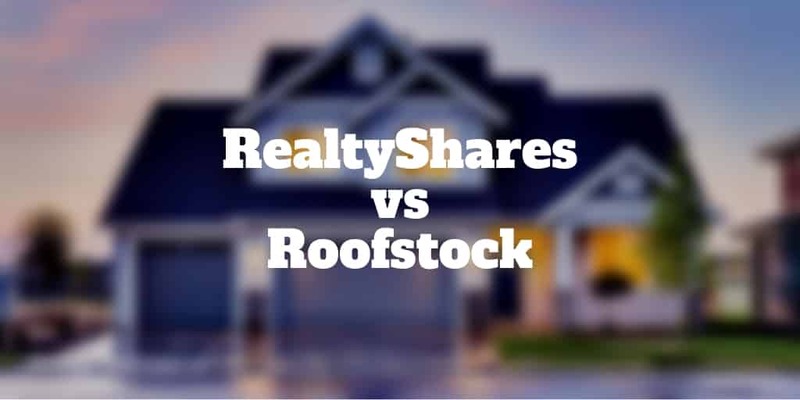 At first glance, RealtyShares vs Roofstock looks like an apples-to-apples comparison. Both companies provide turnkey solutions for investors to gain exposure to real estate. And both are a good match for investors seeking passive income. But the similarities end there because Roofstock and RealtyShares offer very different products. Roofstock features single-family homes on its online marketplace while RealtyShares specializes in commercial real estate investments. Another striking difference is that RealtyShares is only available to accredited investors whereas Roofstock is accessible to non-accredited investors too. Roofstock vs RealtyShares: Which Is Better? Investors who wish to diversify from traditional stocks and bonds will find a match in either RealtyShares or Roofstock. Historically, real estate has had a low correlation to other major asset classes and displayed less volatility in total returns. Plus, it can offer tax deductions to help defer taxes on cash distributions. Where RealtyShares found a niche is by connecting investors to real estate operators with a strong record in commercial real estate whereas Roofstock concentrates on the residential space. Roofstock is an online rental property marketplace that gives investors direct ownership in single family homes. RealtyShares simplifies commercial real estate investing and offers passive income with tax benefits to accredited investors. Roofstock targets investors who want to own rental properties but don’t want the hassle of doing all the legwork. At Roofstock, the entire process of buying a single family home that is fully rented on day one is done for you so all you need to do is pick a property and checkout online. Although Roofstock is not nationwide, it does list single family homes from the East Coast to the West Coast. Simply choose a home you like based on proprietary neighborhood ratings, price, and area. All you need to do then is sign the documents and make the downpayment, and in lightning fast speed you own a rental home! Even if you don’t visit the property, you can buy the single family rental property sight unseen. Roofstock will even vet property managers for you so that you don’t have to deal with ongoing maintenance or tenant management issues. RealtyShares connects real estate operators in need of financing with accredited investors seeking passive income. RealtyShares specializes in $1 – $5 million capital placements targeting multifamily, hospitality, office, retail, industrial, and self-storage units. For real estate professionals it’s a way to access capital without going through traditional channels. And for investors a variety of investment opportunities are available including common equity, preferred equity, mezzanine debt, and second lien loans. RealtyShares has a high investment minimum of $5,000 compared to other peer-to-peer online crowdfunding real estate sites like Rich Uncles and Fundrise. However unlike many other sites in the same area, RealtyShares targets only accredited investors with a minimum of $200,000 in income over the past couple of years or $1,000,000 of net worth. Roofstock doesn’t have an investment minimum per se but if you want to purchase a rental property you will need a downpayment, which could amount to tens of thousands or more. Buyers pay 0.50% on the Roofstock platform while sellers pay 2.5%. For that 50 basis points, buyers not only own a rental property but also earn cash flow from day one because rental properties generally have existing tenants at the time of purchase. The Roofstock fees you pay are used by the company to vet properties, rate neighborhoods, and screen property managers among other expenses. Each property comes with a 30-day money back guarantee if you decide to change your mind. RealtyShares fees vary depending on whether your investment is in equity or debt. A 1% charge applies to equity investments while a 2% interest rate spread on debt applies. Unlike some online real estate marketplaces, Roofstock doesn’t connect investors to a single fund in which everyone is invested. As a result, investor returns vary by property type selected, regional growth rates, tenant occupancy, and other factors. Similarly, RealtyShares connects investors to a wide variety of projects so no single performance return applies to everyone. You will however be able to select among projects of different risk levels. ✅ Direct Ownership: Unlike RealtyShares, Roofstock provides investors a way to own property outright. ✅ Commercial Property: RealtyShares makes it possible to gain exposure to commercial property. ✅ Passive Income: Investors seeking passive income get paid monthly from rental properties. At RealtyShares, the frequency could be monthly or quarterly. ✅ Investment Selection: Both equity and debt investments are available to investors at RealtyShares versus Roofstock where only single family homes are available for purchase. ✅ Liquidity: Roofstock has created a secondary market to allow investors to sell properties and liquidate holdings. This option is unavailable to investors on most other platforms. ✅ Low Minimum: Compared to Roofstock, where a downpayment may be tens of thousands of dollars, the RealtyShares investment minimum of $5,000 is low. ✅ Non-Accredited Investors: You don’t need a high net worth to get started with Roofstock as you do with RealtyShares. ✅ Hands-Off Investing: While Roofstock offers a turnkey solution, buyers are ultimately responsible for properties whereas at RealtyShares, investors are completely hands-off. If you are sitting on the fence trying to choose between Roofstock vs RealtyShares, the decision boils down to whether you prefer direct ownership or a hands-off investment experience. RealtyShares is ideal for accredited investors while Roofstock is a better match for non-accredited investors. Roofstock focuses only on single-family homes which can be purchased in bulk as part of Roofstock portfolios. RealtyShares concentrates primarily on commercial real estate investments. For risk-averse investors, RealtyShares may be a better fit because risk can be spread more easily compared to Roofstock, where all your eggs are placed in the basket of one single family home. For hands-off investors, RealtyShares may be slightly better too, however Roofstock is about as good as it gets when it comes to buying rental property without having to deal with the hassles.